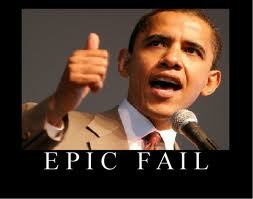 Obamanomics New Home Sales … The Worst Year for Sales on Records Dating Back to 1963. More failed Obama economic recovery … Barack Obama’s third year in office and his “Obamanomic” policies have done little to nothing to help new home sales. In fact, the numbers for 2011 were dismal. New home sales for 2011 are the worst on record dating back to 1963. Thanks President Obama. How can America afford to reelect this President in 2012? It’s also below the 323,000 homes sold last year – the worst year for sales on records dating back to 1963. December would have to produce its best monthly sales total in four years for 2011 to finish ahead of last year’s total. New homes account for less than 10 percent of the housing market. But they have a big impact on the economy. Each new home built creates roughly three jobs for a year and generates about $90,000 in taxes, according to the National Association of Home Builders.